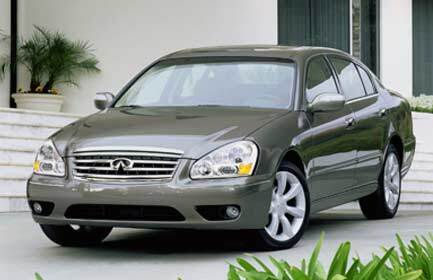 Fast and Free Locator Service to Find Used Infiniti Q45 Parts! Since the Infiniti Q45 is a luxury vehicle, Infiniti Q45 parts are often expensive and hard to find. In fact, one of the biggest challenges an auto repair shop faces is keeping their customers satisfied despite frequent, expensive repairs and necessary replacements. Another challenge for auto repair shops is locating parts for various imports and luxury cars, such as the Infiniti Q45. If you find yourself handling most of the repairs to your Q45, then you know exactly how hard it can be to track down used Infiniti Q45 parts. Fortunately, now there is a better way to find the exact parts you need for your vehicle in a timely fashion - the parts locator service provided by UNeedAPart.com. Our free locator service can search the inventories of over 7,000 auto parts suppliers so that your chances of locating the right Infiniti Q45 parts are better than ever before. One of the main advantages of being able to search the inventories of such a large number of parts suppliers is that virtually any Infiniti Q45 part can be located. From smaller and simpler parts to large or hard-to-find parts, UNeedAPart.com will help you find the part you need by matching you up with the parts dealers that have it currently in stock. No part is too small or too large and we can even locate replacement Infiniti Q45 wheels! Whether you are a professional mechanic or if you make repairs in your own garage, you can benefit from the comprehensive parts locator services of UNeedAPart.com. Finding the right Infiniti Q45 parts is easy! To get started, simply use the Parts Request boxes at the top and/or side of the page. We will instantly match you with the auto parts dealers that meet your search criteria. UNeedAPart.com helps you find the used auto parts you need in no time!